With the calendar recently turning from 2017 to 2018, we’ve found ourselves reflecting back on the year that was. And it’s difficult – if not impossible – to find a trend in 2017 across the insurance industry bigger and more influential than the impact and adoption of insurtech solutions. Insurance – an industry that has been historically reticent and hesitant to jump into new technologies – found itself looking at the impact of technology on other conservative and highly regulated industries – such as financial services – and realized that efficiencies and increased profitability could be the result of smart investments in new technological advancements. One of these advancements that the industry has been studying closely and slowly adapting has been the Internet of Things (IoT). Insurance companies realized that sensors, smart devices and other connected platforms could be used to make them more proactive – enabling them to identify problems before they escalate to disasters – and subsequently mitigating claims. These same solutions could help them get a better picture of a customer’s risk and price their plans accordingly. They can also give insurers a much more intimate and complete picture or profile of their customers. These realizations have led to the emergence of a number of exciting new IoT solutions being designed for – and marketed to – the insurance industry. One of these was recently announced by D-Link, a leading networking and communications products provider, and Afero, a provider of an edge-to-cloud enterprise IoT platform. Together, these companies teamed up to design and introduce an innovative solution to prevent residential water damage and reduce related insurance claims – the D-Link Smart Water Sensor solution with Afero IoT Platform. Jack McGuigan is the VP of Sales at D-Link Systems. ITI: What is the D-Link Smart Water Sensor and what can it do to help homeowners, business owners and others mitigate flooding? Jack McGuigan: D-Link and Afero joined efforts to bring an innovative solution to market designed to help prevent residential water damage and reduce related insurance claims – the D-Link Smart Water Sensor solution with Afero IoT Platform built-in. The solution features an easy-to-use D-Link Smart Water Sensor, D-Link Smart Hub and D-Link Smart Plug combined with Afero’s latest IoT Platform and is designed to sense and detect abnormal activity to notify stakeholders via message on iOS or Android devices to help prevent costly water damage. ITI: Is the D-Link Smart Water Sensor available on the market today? If not, when will it be commercially available? Where will it be available? Jack McGuigan: The solution is slated to be available in the first half of 2018. Pricing and channel availability will be released at a later date. ITI: How does Afero’s platform enable and power this device? Joe Britt: Designed to work seamlessly together, the D-Link Water Sensor with Afero IoT Platform built-in communicates directly with the D-Link Smart Hub, enabling insurance customers to unite devices behind a single hub and a single app to control everything. The D-Link Smart Plug enables customers to create on/off schedules and control remotely. The solution also allows insurance companies to prevent additional claims related to water leakage to turn off any electrical devices plugged into the smart plug. ITI: D-Link and Afero are marketing this device to the insurance industry. Why would insurers be interested in the D-Link Smart Water Sensor? 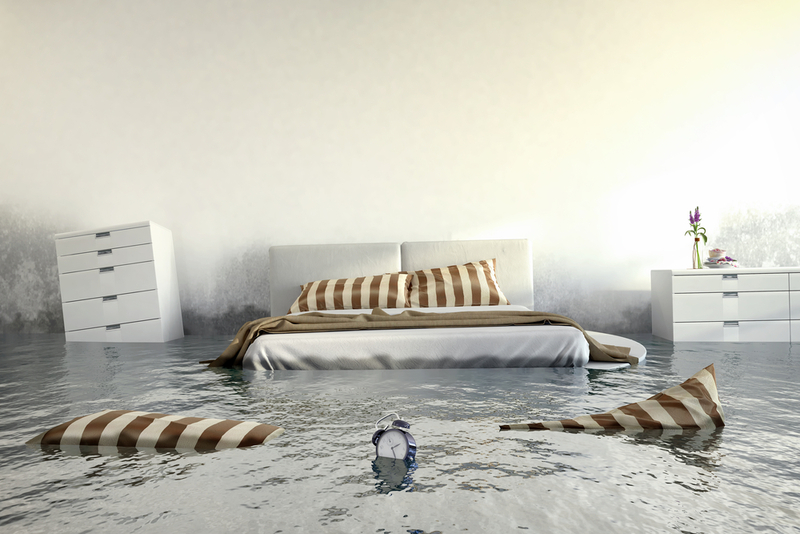 Jack McGuigan: With water damage related claims ranked in the top 3 claim related costs in the U.S., the D-Link and Afero offering directly addresses claim costs by dramatically reducing or preventing water damage in the home. The D-Link Smart Water Sensor with Afero IoT Platform provides insurance companies with an easy to implement and trackable solution to offer customers a way to keep a pulse on potential water risks in a home, receive notifications on potential water leaks and update insurance companies. This solution helps with the digital journey underway for insurers to manage risks, reducing claim costs, lower customer premiums and of course increase customer satisfaction and retention. ITI: Do you see the D-Link Smart Water Sensor as part of a larger trend in the insurance industry to move away from simply paying to repair damage to working aggressively to mitigate damage/claims? What role does the IoT play in this trend? Joe Britt is the Co-Founder and Chief Executive Officer at Afero. 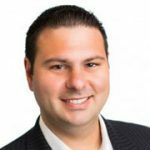 Joe Britt: IoT is transforming the insurance industry by helping insurance companies better understand their customers’ habits, improve assessment of client risk levels and create personalized offerings. IoT also provides insurance companies with the opportunity to establish stronger, direct relationships with customers. This is part of a larger transformation of several aspects for the industry – how it interacts with customers, business models, revenue streams, industry structure, data used to build cost and risk models, etc. Our solution is certainly one that aids and accelerates such a massive transformation. We believe security, customer user experience and a device eco-system will be critical no matter how the transformation unfolds and these are key strengths of our solution. ITI: How are insurers getting devices like these into the hands of policy owners? Are they distributing them directly, or using policy discounts to drive policy holders to acquire and implement them? Joe Britt: The jury is still out on the best business model to commercialize such devices as part of an insurance offering. From what we understand, insurers do want to offer discounts for adopting newer technologies. Right now we are in a chicken and egg situation of getting as many consumers to adopt newer technologies in order to offer better data and analytics, needed to drive business model decisions. We see several insurers already placing bets and running pilots to break that deadlock. ITI: Looking forward, how do you anticipate adoption rates changing in the next few years? What other kinds of sensors and devices do you anticipate being embraced by insurers to help mitigate claims? Joe Britt: We believe that as pilots and initial programs produce results and crystallize the benefits of implementing these technologies, the adoption rates will accelerate significantly. Telematics took several decades to take hold. However, as the consumers and insurers are getting comfortable with adopting newer technologies and embracing change, we believe newer more disruptive trends will take hold sooner than expected. Specifically, in terms of newer sensors, for the home, smoke alarms, CO alarms, video streaming devices, etc. are a natural extension for a holistic home portfolio. On the commercial and industrial side, we are likely to see a wider range of sensors like acoustic sensors, innovative location-tracking sensors, air quality sensors, etc. For additional information on the D-Link Water Sensor with Afero IoT Platform built-in, click HERE to read the company’s press release announcing its launch.